Document archiving is usually a last resort but the reasons for it tend to be that you’re running out of space, you need more space or you’re just looking to de-clutter. Usually documents are archived when they are not used on a regular basis but may be needed again in the future. The need for archiving arises when those documents are taking up valuable space that could be used more effectively. However sometimes you want documents archiving that are in regular use too. Many will choose traditional methods when it comes to storing away documents often not realising that there are superior and more modern choices that are highly beneficial to your company’s wallet as well as the company itself. Document storage is exactly that, you store your documents away, usually in a secure storage facility. This is often the storage method of choice for those who want to keep paper copies of their documents but don’t want, or have the room, to keep them stored on site. Although traditional document storage is on its way out in comparison to more modern methods, a lot of larger corporations still prefer to use it as their first choice, mainly as they have larger budgets to be able to afford it. This is where document storage bares its Achilles heel; the costs. Traditional document is expensive because you are essentially renting a property purely to store your documents and with a lot of storage companies, you can incur a large fee to retrieve your documents too. Retrieval policies at these companies means that you cannot just head over to the facility to collect your documents when you need them, you will need to wait until the storage facility do it for you and mail or courier it over to you. This is both expensive and time consuming, especially when you need a document as soon as possible. Document scanning is quickly becoming the fastest growing form of document archiving. There are specialist document scanning companies that will take your documents and scan them to digital files such as PDF and will then supply them on a disc, via FTP or into a digital document management system for you. This means that all your documents are still available to you at your office but they no longer need to be there in physical form. It also makes for more flexible and productive work as the documents are easily accessible and can be shared, emailed and printed as and when staff require. While a lot of people swear by this as their archiving tool of choice, others sometimes believe it is not as secure as it should be. This can be easily altered, however, with secure software which locks folders on your computer that contain the documents so they can’t be deleted or removed, accidentally or otherwise. 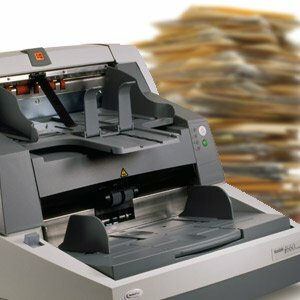 Document scanning is also relatively cheap, depending on the number of documents you have, with some projects completed for as little as a penny per sheet. Scan on demand is a relatively recent scanning service. What scan on demand offers is a flexible way of document archiving which is the best of both worlds if you’re not sure you’re ready to make a complete transition to digital just yet. So, what exactly is scan on demand? Well, your scanning company will store your documents, usually for very low rates to compete with document storage companies, and when you wish to have a document digitised and sent over to you for use, you simply call or email the company to request it. A lot of companies are choosing this option as sustainable middle ground between the other two document storage choices. It does of course come with a storage cost, but the fact that you can request a file at any time and get a digital copy back to you, makes it a better choice than standard storage for many. After that you choose if you want to keep the paper copies or have them destroyed. When using this choice, make sure that the company can offer a quick turnaround of the scan on demand to ensure you are getting a better service than traditional document storage. A reasonable document request time for a digital file should be around 48 hours. Each document storage option brings its own advantages which may suit your company best. If you would like some more information on the range of document storage services we offer here at Pearl Scan, fill in a no obligation quote form or by phoning 0161 832 7991.